Öhlins has been present and dominated the racing scene for many years. It’s been the ground where our products can be tested and no shortcuts are taken to find the last bit of performance. 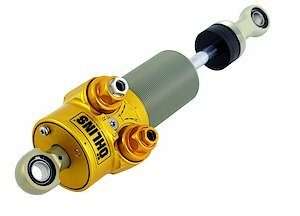 Öhlins cover the whole racing scene, from Formula One and single seaters to prototypes, touring cars, GT Racing and stock cars. 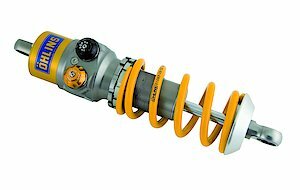 From specific shock absorbers to our kit system, there isn’t a racing car where Öhlins shock absorbers can’t fit. The demand for a lightweight damper with an integral reservoir, suitable for cars like Formula 3 or old-timers paved the way for the TTX36 Inline. 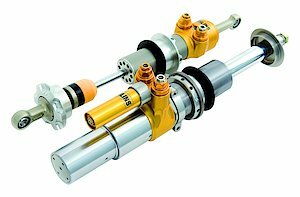 The damper has an inline reservoir with improved internal oil flow and is of a non-through rod type. The configuration out of the box is two way adjustable, one-way compression and one-way rebound. But it is easy to upgrade it to three and even four-way adjustable. Five lengths are available from 283 mm up to 490 mm, measure without end- and top eye. The TTX36 is also available in a piggyback version with an external reservoir. Still, with a compact lightweight design this versatile racing shock absorber is 2-way adjustable but can also be upgraded to 3- and 4-way adjusted. The four-way adjustable TTX40. A winner in Le Mans, Indy Car, touring cars, sports cars and GT-racing. Among others. Ever since its introduction, this high-end level racing damper has been a winner in top-level racing around the globe. The TTX40 MkII twin tube damper features a 40 mm solid piston and a through rod shaft which eliminates the requirement of an external reservoir. The design is fully pressure balanced with a positive pressure build-up throughout the adjustment range, eliminating the risk for cavitation as well as enabling the use of low gas pressure, keeping the internal friction at bay. The top eye can easily be re-clocked without opening the damper. The TTX40 MkII is a fully independent four-way adjustable damper. The MkII version also comes with a Valve Reference Program. This computer model of a dyno will allow you to find damping curves without a dynamometer. It reduces building time tremendously and allows exact damping adjustment out in the pit lane. The TTX40 MkII is also available with a Blow Off piston kit. The advantage of this kit is that it reduces peak loads. This makes driving over curbs smother, saves tires and reduces the risk of getting flat tires. The damper can be modified to suit most of the different types of racing cars and covers a wide range of car types and models. The TTX40 is also available in a two-way adjustable version for some models. The McPherson strut TTX46MT MkII – another high-level championship winning damper. It has featured heavily in GT, sports car and touring car success and is accompanied by the TTX40. The concept of this damper features a 46 mm solid piston with a through rod of 30 mm, providing a rigid and lightweight strut. To further improve the rigidity, the outer tube is made from a special aluminium alloy. It is four-way adjustable providing a wide range of adjustment without even taking the strut off the car. Of course, it has all the benefits from a positive pressure build-up. As for the TTX40 this also comes with a Valving Reference Program. It’s also available with a blow-off kit consisting of a new cylinder head prepared for the new kit, a valve block and a blow off adjuster. The blow off kit reduces peak loads, makes driving over curbs much smoother and in the end saves tires and reduces the risk for flat tires. The damper can be modified to suit most of the different types of racing cars and covers a wide range of car types and models. The TTX46 is also available in a two-way adjustable version for some models, and in a club racing two-way adjustable version that together with the TTX36 creates a powerful Porsche combination.